Coronado, also known as Coronado Island, is a city located 5.2 miles from downtown San Diego and is accessible via the Coronado Bridge or by ferry boat and water taxi. The U.S. News and World Report lists Coronado as one of the most expensive places to reside in the United States. 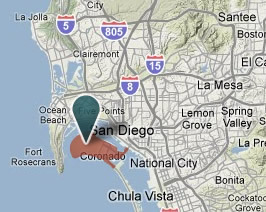 Coronado is on a peninsula connected to the mainland by a 10-mile isthmus called the Silver Strand. The core living and business area is referred to as The Village. 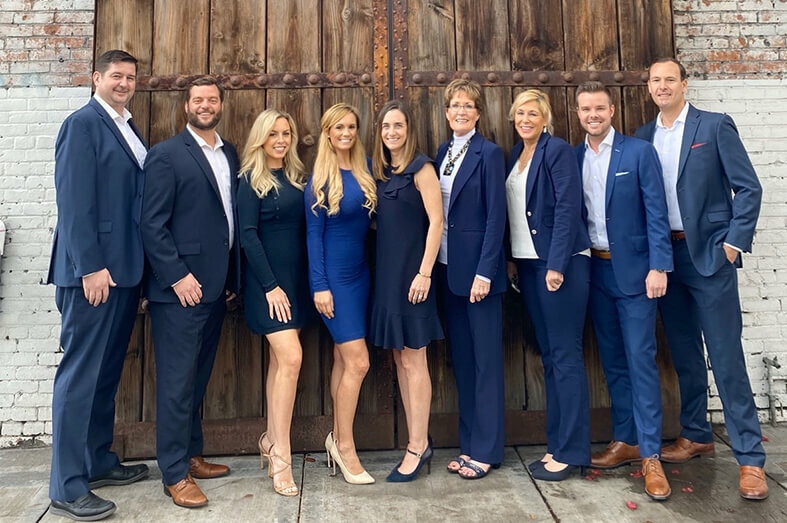 Coronado has beautiful beaches and a variety of restaurants, cafes, boutiques and two theaters – Lamb’s Players Theater and Coronado Playhouse. Coronado is home to the famous Hotel del Coronado which was built in 1888 and is considered one of the top resorts in the world. “ The Del” has had many notable guests over the years including movie stars and presidents, offers an exquisite Sunday brunch, and has a beautiful Christmas tree display in the hotel lobby every year.